Australia is a long way from anywhere. You don’t just pop across the border to another country on a Sunday drive. You can’t be anywhere else in an hour or two’s plane flight. So when I feel like travelling, I visit places where the food and the atmosphere transport me. 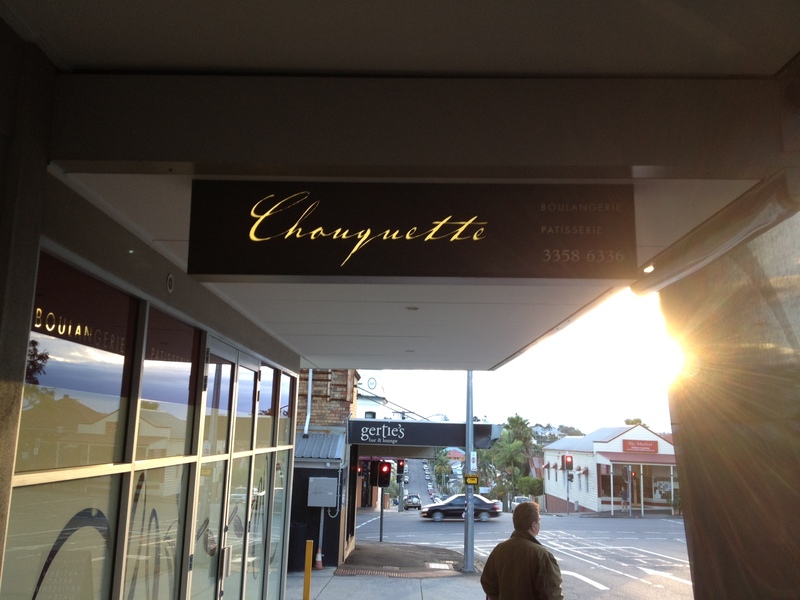 One of my favourite haunts is a little place in New Farm, Brisbane, called Chouquette. 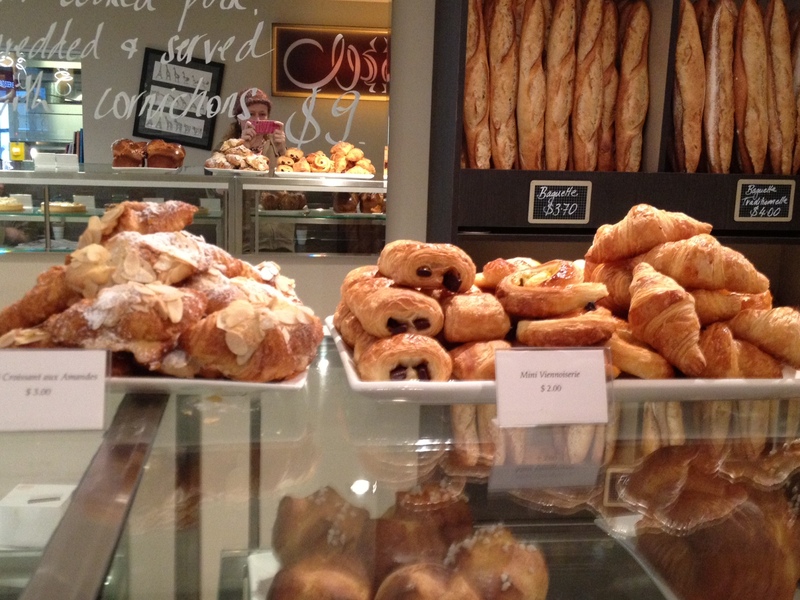 It’s a French boulangerie patisserie with wonderful coffee and a tantalising range of pastries, cakes and breads. Since my first trip to Europe in 2010 I have come to appreciate Chouquette even more. 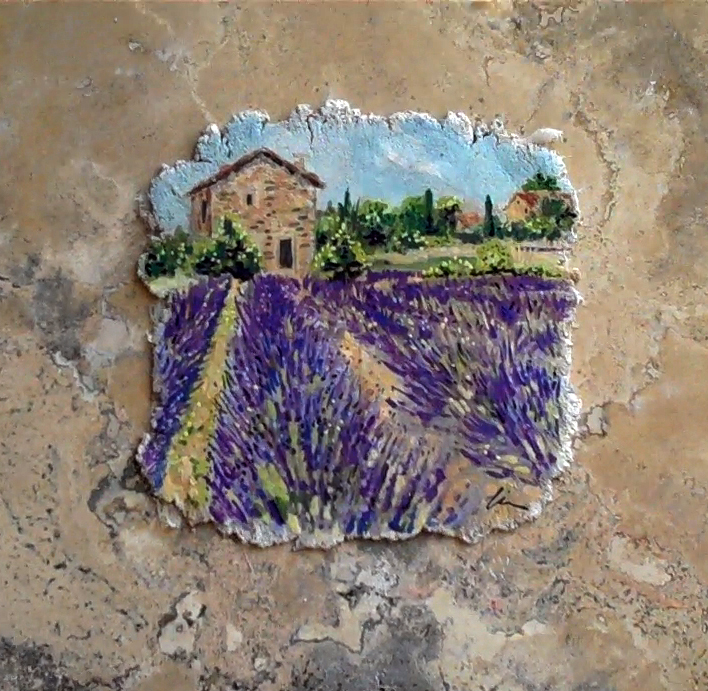 It really does does feel European, it is well supported by Brisbane’s French community, and I have often sat and listened to the melodic French hum of chatter around me and imagined myself to be in France. Of course the other bonus is that it opens at 6.30am. Perfect for an early riser like me. 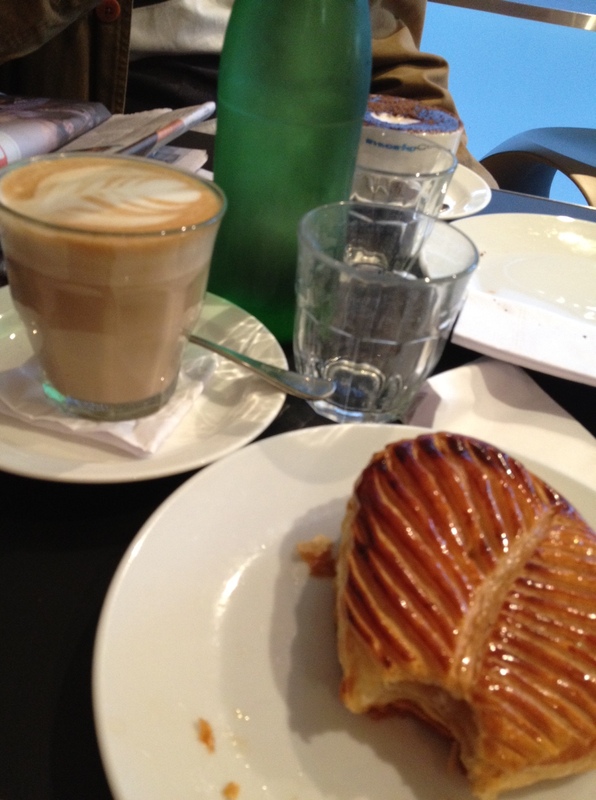 I like to take my journal or even my small laptop, grab a latte and a Chausson aux Pommes (puff pastry filled with apple), and do some writing. Cafe writing is another of my favourite things. Writing can be such a solitary pursuit, and when you write in cafes not only are you reconnected to the world – there is the added bonus of someone else doing the cooking, and the dishes! There are many sweet treats to buy as gifts for friends, or bribes for myself. And their bread? Their bread deserves a post of its own! (And that’s a winner of an idea for me because I get to go back again. All for you, dear reader…). 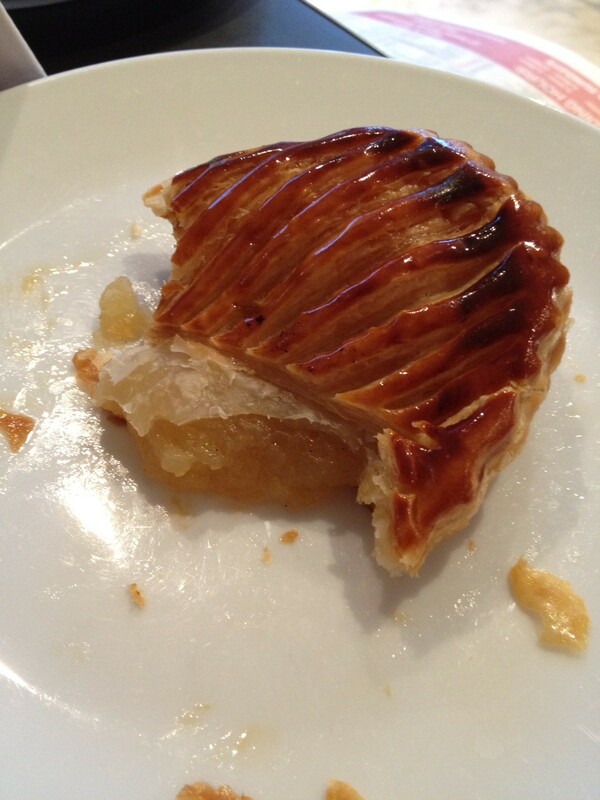 This entry was posted in Life, Writing and tagged boulangerie, boulangerie patisserie, Brisbane, chausson aux pommes, Chouquette, early morning. 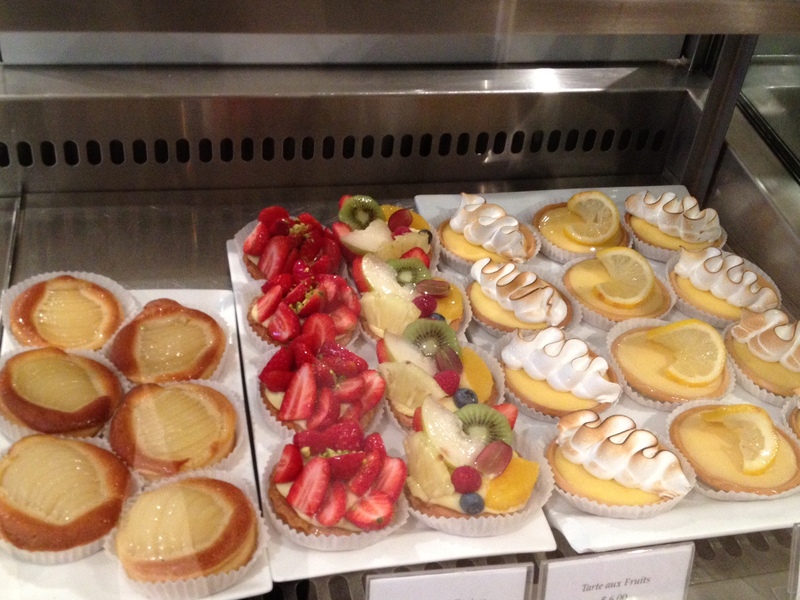 coffee, Europe, food, French food, latte, nom nom nom, patisserie, travel, writing by Cauldrons and Cupcakes. Bookmark the permalink. C’est magnifique! What a wonderful choice of cakes, I can’t wait to see the bread….I’m very impressed by their early opening hours, it must be wonderful to go there early in the morning and feel as if you’re in France. Lovely! You’d love it, Lorna! Yes, the bread shall have its very own post. But I’m up for the challenge. I think of all the suffering you’ve done for us on your blog and it steels me for the difficult task ahead. I hear you sister, and empathise with your self-sacrifice. Sometimes the thought of travel is just as good as the real thing. I like a bit of armchair travelling, myself. And blog about them, of course! oh you make me long for choux a la creme served in Normandy. yum. I can hardly wait. 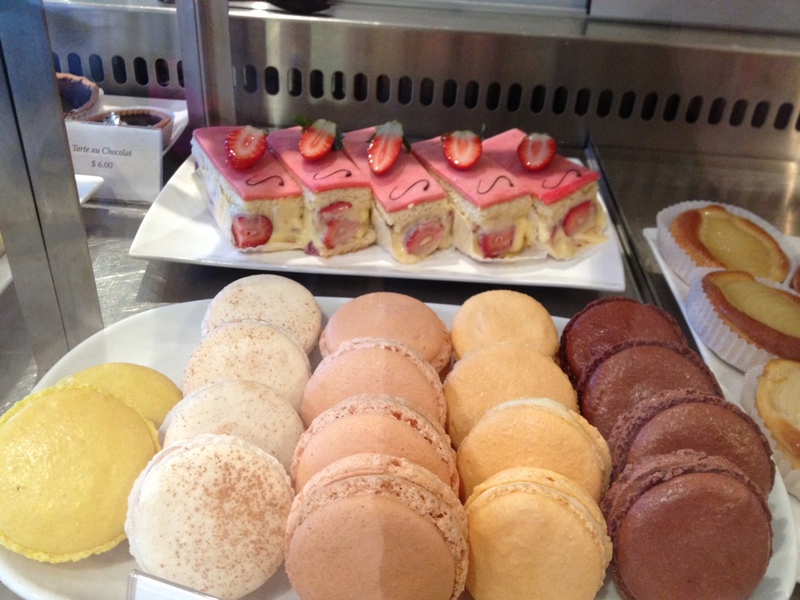 I’m off to Paris this weekend….. will have something sweet for you too! Let me, as one of your readers, thank you for the suffering you will have to endure to write another post about Choughette’s breads!! But, I assure you, it’s not nearly as much suffering as your dear reader will have to endure as she drools onto her laptop, wishing she could be in Brisbane-Paris at the next table!! That’s the sort of club I’d join! Wow! What a sacrifice to have to write in such a fragrant, enchanting place! I know it was torturous, but all in the name of blogging; which is a very good upstanding reason to push your way through. You described it so beautifully and artfully that I wish only to visit and taste for myself. Until then, I will set forth to create my own ambiance in a special place. Mmmm the pulled pork baguettes. Now they really fill you up!